This volume critically engages with the work of the acclaimed Australian sociologist John Carroll. 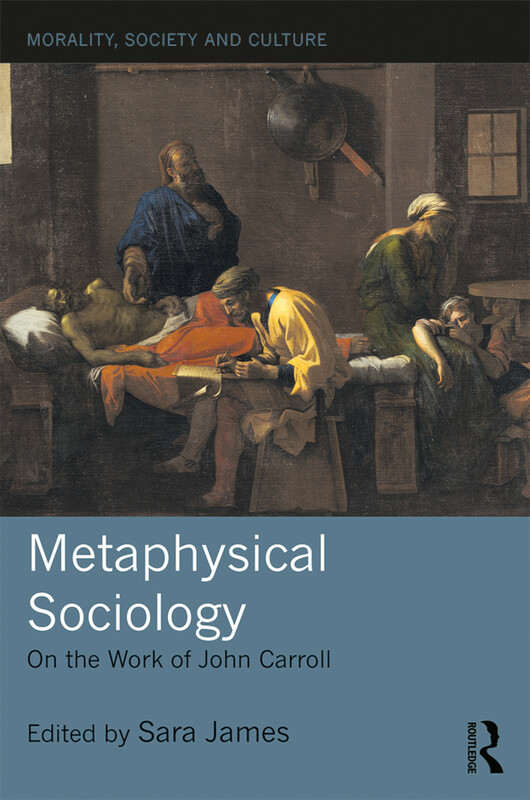 It makes the argument for a metaphysical sociology, which Carroll has proposed should focus on the questions of fundamental existence that confront all humans: ‘Where do I come from?’, ‘What should I do with my life?’ and ‘What happens to me when I die?’. These questions of meaning, in the secular modern West, have become difficult to answer. As contemporary individuals increasingly draw on their inner resources, or 'ontological qualities', to pursue quests for meaning, the key challenge for a metaphysical sociology concerns the cultural resources available to people and the manner in which they are cultivated. Through wide-ranging discussions which include, film, romantic love, terrorism and video games, Metaphysical Sociology takes up this challenge. The contributors include emerging and established sociologists, a philosopher, a renowned actor and a musician. As such, this collection will appeal to scholars of social theory and sociology, and to the general reader with interests in morality, art, culture and the fundamental questions of human existence.